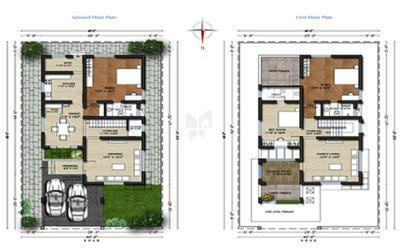 How Far is Ideal Homes Phase II? 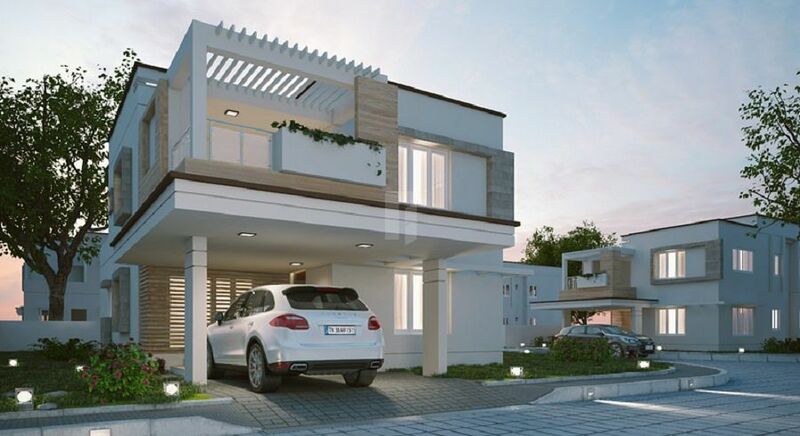 The luxury villas in Ideal Homes Phase II are being constructed in a 9.57acre plot and the villas are envisioned as truly reflecting the motto of the Company, 'luxury living in a green ambience '. 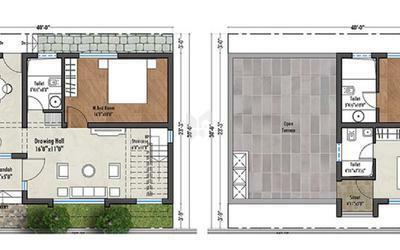 These villas are set in green surroundings, minimising the impact on the environment. Finest construction materials and super-brand finishing materials will go into the making of these dream homes. Each villa, in this project, is set in a green ambience integrating the latest trends in luxury living, spaciousness, elegance and functionality. Besides, total security and environment-friendliness are ensured. 65 premium villas and 48 affordable- segment villas are included. Booking has already started for this phase. Elegance, durability, spaciousness, aesthetic acceptability and conformation with the specific requirements of the clients are the principles that decide the architectural design of each villa. The sun, wind and water are utilised effectively adhering to green building design, involving the proper balance between homebuilding and sustainable environment, without sacrificing economy, utility, durability and comfort. Club House with Swimming Pool, Air Conditioned Gym, Indoor recreational facilities and Children's play area, etc., are provided for a more pleasant social life that is refreshing, rejuvenating and elevating. Vasthu shastra is the Indian traditional science of architecture and construction. They concern designs, layouts, space arrangements, ground preparation, spatial geometry and such other aspects of architecture and construction, integrating architecture with nature. Ideal Habitats (Coimbatore) Pvt. Ltd., is an edge property developing company concentrating on time-bound delivery of modern, premium, detached residential villas that incorporate trendy designs, spacious interiors, top-notch amenities and high quality community facilities. The Company consist of a close-knit team of highly qualified and well-experienced professionals who incorporate unique design and comfort elements into each structure so that the owner of each villa can confidently say with pride 'this is my home'.